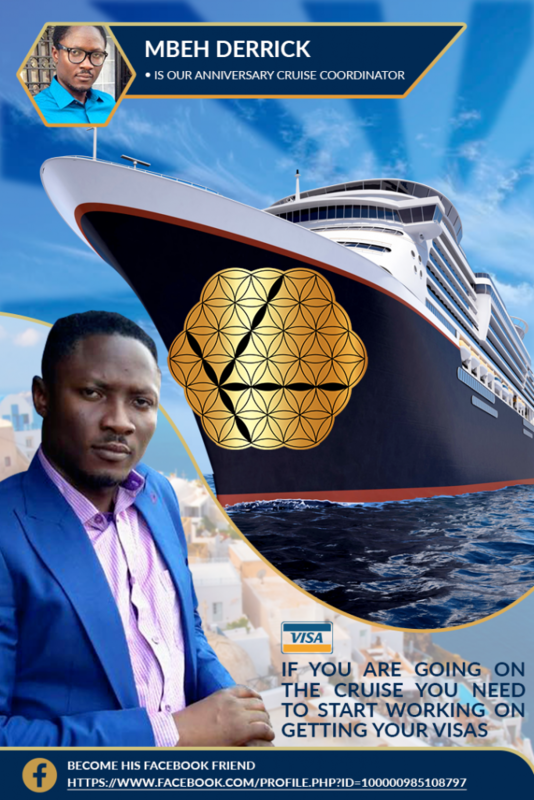 Based on the most recent report from our Cruise Coordinator Mbeh, the Winners of the Cruise are not able to get VISAS to go. This is most unfortunate! We need to cancel this Cruise as part of our 3rd Year Anniversary Celebration. I’m sure everyone that wanted to go is also having the same problem unless you live in the USA. So, these Winners have accepted the idea of getting about the equivalent value of these cruise tickets in Bitcoin. We will give these Winners the Bitcoin when they show up to the 3rd Year Anniversary Live Broadcast hosted by Mbeh on the 21st of March, 2019 and the time of this event will be announced later. WINNERS MOST SHOW UP AND BE A PART OF THE PANEL OF THIS LIVE BROADCAST TO COLLECT THEIR PRIZE!